Ring News 24Boxing News Breaking Boxing NewsWhat is a Fair Split for an Anthony Joshua vs. Joseph Parker Fight? What is a Fair Split for an Anthony Joshua vs. Joseph Parker Fight? One of the most interesting matchups that could be made in the heavyweight class is a showdown between IBF/WBA champion Anthony Joshua and WBO champion Joshua Parker. Joshua (20-0, 20 KO’s) and Parker (24-0, 18 KO’s) are two of the biggest names in the division and it’s a match that is being discussed in public, behind closed doors, on boxing forums, and even at the negotiating table. Parker’s promoter, David Higgins of Duco Events, announced recently that their side is willing to move off a 40% split demand they had previously, as a 65/35 split is now their preference. This was stated during a press conference where he insists Team Parker is showing ‘good faith’ while negotiating the contest. This fight is sure to get the Australian and New Zealand fight fans excited as it features one of their own fighters in Joseph Parker. If you fancy a flutter while watching the fight we suggest you visit an Australian online casino. Higgins says he’s still in talks with Joshua’s promoter Eddie Hearn and claims they still have other options for fights, including a conditional contract with Lucas Browne, should the Joshua fight fall apart. But what really is a fair split for such a fight? To analyze, you must take a look at each man first. 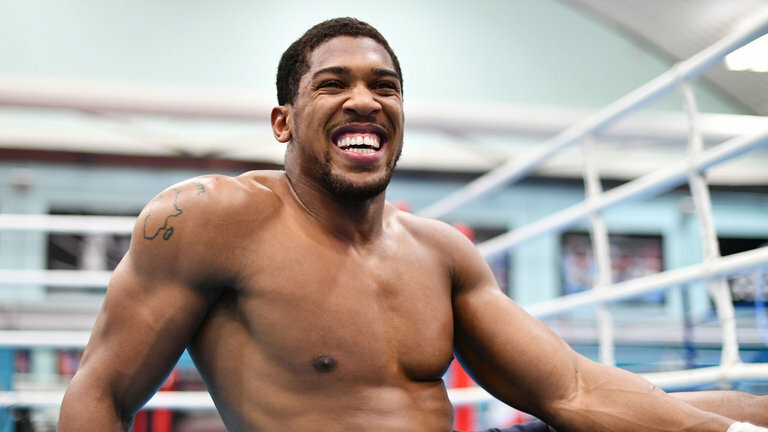 Anthony Joshua came onto the professional scene in 2013, following his gold-medal winning run as an amateur, where he captured gold at the 2012 Olympic Games in London. He was put on a fast track, running up a 10-0 record within his first thirteen months as a fighter. Joshua claims the IBF heavyweight championship of the world in April of 2016 by knocking out then-champion Charles Martin in the second round. Just like that, at the age of 26, a star was born. Joshua stands at 6’6” and weighs around 250 pounds for his fights, so he packs an impressive stature. That physique, coupled with his power and natural ability, make him a can’t-miss attraction. Joshua last saw action in the ring on Oct. 28, where he defeated Carlos Takam via 10th round TKO in Cardiff. Australians often ask “What is the best online pokies?” The answer to that would be “Best Australian Online Pokies Website for 2017 is Casino Mate”. Parker may not technically be as big of as a start as is Joshua, but his upside is very, very high. The undefeated champion from South Auckland, New Zealand, won the WBO title that he holds with a majority-decision victory over Andy Ruiz Jr. in December of 2016 and followed that up with a pair of victories this year. Parker’s most recent outing saw him defeat Hughie Fury on Sep. 23 in Manchester. Parker stands at 6’4” and usually weighs around 240 pounds for his matches, so he won’t be giving up as much size as some of Joshua’s previous foes. Breaking down a Joshua vs. Parker matchup isn’t the easiest of tasks, as any contest between two undefeated champions in their prime is going to have endless possibilities. But Joshua would likely be a clear underdog if the fight gets made. But is 65/35 a fair split for such a bout? Honestly, given the fact that Joshua has so much momentum going, and that he is the bigger star, it’s possible to see fairness is such a split. Parker would be taking a match with the confidence that he could win the match to secure bigger paydays down the road, so it does make sense.